Rail Live 2016 importantly reflects the Rail Industry’s strategic vision of – Innovation, Skills, Export and Conditions for Growth, all geared to move the rail sector forwards to meet the new challenges in rail. Rittal will be taking part in the designated signalling zone, where we will be showcasing some of our leading enclosure technologies. Visitors to Rittal’s Stand SZ11 will be able to talk to Rittal’s expert team and discuss how our innovative modular enclosures, power distribution, and climate control solutions, commonly specified as the No.1 choice for protecting critical equipment known as “Rittal – The System”. On show will be a range of double walled CS enclosure systems used extensively in Long Line PA applications as well as on level crossing controls. Made of the lightweight aluminium alloy, AlMg3 which offers exceptional corrosion resistance, the CS enclosure has many built-in features include fan and filter cooling, and anti-graffiti Ri-Nano paint finish, 19” angles front and rear, fan trays, light units and door mounted switches, telescopic shelves, heaters and temperature controllers. Book your ticket to attend Rail Live – the largest outdoor rail show in Europe . The BICSI UK Conference and Exhibition is a one day conference due to take place at London’s prestigious Barbican Conference Centre. The event will deliver game changing information to those involved in the installation and specification of network infrastructures in the data centre and information communications technology environment. Rittal will be there to discuss how the requirements placed by a company on its data centre are dependent on a wide range of factors. Regardless of whether a company has a few racks or several hundred servers, every application is reliant upon availability and efficiency. Rittal’s experts will be there to guide you through “The System” which offers a perfectly coordinated platform for this purpose – from systematic requirement analysis and planning of the entire data centre, to physical security, through to configuration with precise-fit, efficient IT infrastructure components. This includes robust racks for server and network technology, efficient power supply and protection, and energy-saving climate control components. The system is rounded off by monitoring and security solutions and global customer service. The new Rittal Automation Systems business unit extends Rittal’s comprehensive range of solutions for panel building and switchgear engineering. By taking over the entire product range of its sister company Kiesling, Rittal is continuing to expand “The System”, offering a comprehensive range of equipment for professional workshop operation. Alongside the potential efficiency gains from using assembly-friendly enclosure systems, an extensive range of system accessories and intelligent software solutions, there is also a growing focus on the automation of manual tasks. In order to accelerate individual production stages, Rittal Automation Systems offers a range of automation concepts which may be cost-effectively adapted depending on requirements and the size of the company. The product portfolio ranges from manual tools through to fully automated machining centres. Simon Kelemen introduces the Assemblex automation machine – If you require further information please email information@rittal.co.uk or call 01709 704105 and we will be happy to help. A range of market-leading power distribution systems for enclosures has just been extended. Rittal’s popular 185mm Ri4Power busbar provides trusted, safe and compact power distribution within enclosures. Its modular system is easy to install in just three steps, and consists of standardised and tested products, all of which meet the requirements of IEC 61 439 for low-voltage switchgear assemblies with design verification. The newly expanded Ri4Power range now allows both 1600 amp and 630 amp moulded case circuit breakers to be used. What’s more, connection adaptors and connec-tion blocks are now available to enable faster cable connection. In a remarkable first for the IT sector, Rittal and iNNOVO Cloud GmbH have come together to create a new and innovative “turnkey cloud data centre in a container” concept. It was showcased at CeBIT 2016 exhibition in Hannover and aims to show how companies can rapidly establish new cloud-based data centres. Companies would use the components within the RiMatrix BCC to model a huge range of options to meet their needs, from an on-premises private cloud to virtual private data centres, all using verifiably safe servers, storage and network systems. Server and storage systems can be operated in a way which is both standardised and cost-effective using services from the cloud, provided as “IT as a Service (ITaaS). Until now, planning and constructing a data centre had been considered as being an entirely bespoke process taking several years for companies to complete. But with this new joint initiative, Rittal and iNNOVO Cloud GmbH have created an alternative in the RiMatrix BCC that could offer a far faster solution. Customers would receive a turnkey cloud data centre in ISO or non-ISO container format in which the components such as racks, climate control and power supply would be provided as predefined modules. 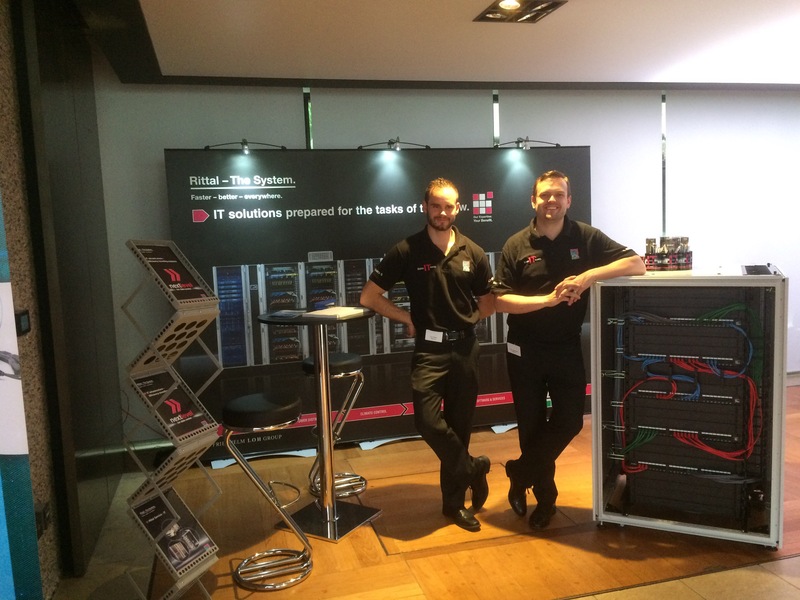 Further information at http://www.rittal.co.uk or on twitter @rittal_ltd. Experience how Rittal can support you in building a smart DC: Now in its 3rd year in Monaco, and twelfth year for the European event, Datacloud is the bellweather for cloud and data centres. Hosted in an outstanding backdrop, the event offers a professional range of services for sponsor and exhibitor ROI. If you would like information on the Rittal Assemblex or any other Rittal Automation products please email:information@rittal.co.uk or call:01709 704105 and will be happy to help.